We have a festive new collection of candles in the shop that made it just in time for the holidays. 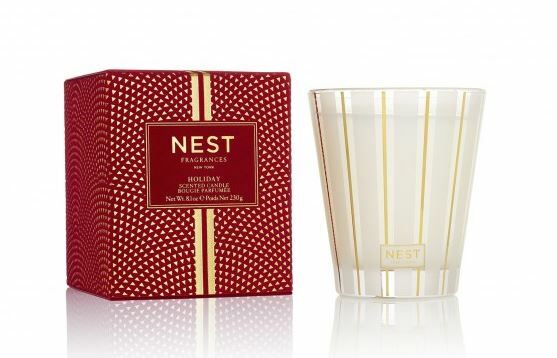 NEST Fragrances holiday candles are iconic and make for the perfect holiday gift. Not to mention they are also a thoughtful hostess gift for this time of year. We have 3 of NEST’s holiday scents in the shop including, Holiday, Birchwood Pine, and this year’s new holiday fragrance Sparkling Cassis. Read along as we share those details with you. Packaged in a festive red velvet box, the Holiday candle blends pomegranate, Mandarin orange, pine, cloves, and cinnamon with a hint of vanilla and amber for the perfect holiday aroma. The signature candle promises 50-60 hours of burn time. It is 8.1 ounces and sells for $42. 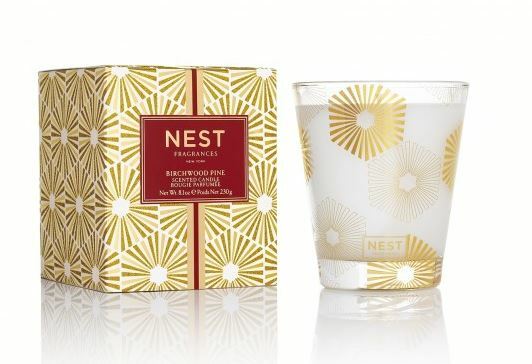 If you prefer holiday candles that are reminiscent of winter forests, this is the festive NEST candle for you. This candle blends white pine, fir balsam and birchwood over a base of rich musk and amber. It is one of NEST’s more nostalgic scents, which makes it is a customer favorite year after year. We have the signature candle size that sells for $42 and has 50-60 hours of burn time. 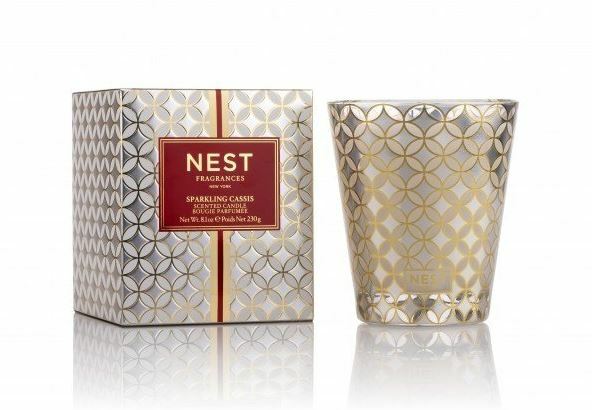 New to NEST’s festive candle collection is Sparkling Cassis. It is meant to represent the glamour of the holidays. The essence of the new scent is pink champagne that is infused with hints of crème de cassis, frosted cranberry, and wild fig. The spirit-inspired, celebratory candle can infuse your home (or whomever you gift this candle to) with the glamour and sparkle of the holidays. As listed above the signature candles sells for $42. The holiday season kicks off next week so be sure to stop in and treat yourself to one of these fabulous festive candles. Due to the Thanksgiving holiday next week, we will have special holiday hours. Wednesday, November 21st- We will close early. Store hours 11 am-1 pm.